He is 9 years old and enjoys science, math and football. Nathaniel wants to be a professional football player when he grows up. Items needed for Nathaniel include shoes, clothes, toys, and items from the moving truck. It’s time to change the way we help others. Join us today and make a difference in REAL time. . .
Real Time Difference will provide the world’s first online real time charitable donation platform allowing a donor to donate to a recipient who will be provided relief within a twenty four hour period. This is done by using the power of the internet and the fifteen degree rotation of the earth, which provides an hour for each time zone. Real Time Difference will match donors with recipients so that the relief is provided in the fastest, most efficient manner allowing to make a difference in “real time.” Let’s make a difference together! A family or child in need visits a Difference Center with their needs request by 10 am of their morning. A counselor will enter their needs information on our website at www.realtd.org. Once completed, their request will then be evaluated by our staff and a determination is made on how their needs can best be fulfilled. The counselor then captures a 30 to 45 second video clip allowing the family or child to introduce themselves and explain their needs. This video along with their information is then published as an online video profile in real time on our website www.realtd.org immediately. Organizations and individuals looking to make a difference in someone’s life, also called a “donor”, can then visit our website www.realtd.org from most any internet connected device. Thus, allowing them to browse through the online video profiles previewing a family or child’s needs from around the world. Once a donor selects a child/family they wish to donate to, the donor will enter their donation amount and payment details online from the comfort of their internet connected device. In real time, the donor’s payment will be sent directly to the “Difference Center”. Once the donation is received, the counselor will purchase those items originally requested for by that family or child within the same day..in REAL TIME. By that same afternoon, the family or child will revisit the Difference Center to pick up their items. This will also allow the RTD counselor to capture a 30 to 45 second video clip of the family or child receiving their donation and also giving them an opportunity to thank their donor for making a difference. This “after” video is then published to the family or child’s online video profile and the donor is informed that they may view the video at their convenience. several hours and to walk around. Clarissa spent every penny she had to move herself and her three children out here to California to give them a better life. made a real difference in Clarissa and her family’s life. have to sleep on the floor. Carin was born in Maryland and has two brothers.She is the eldest of the three. Carin has been raised by a single mother who is on disability due to a tragic accident. which made a REAL difference in Carin’s life. privileged enough to capture his story. Real Time Difference would like to thank Holland for her donation which made a REAL difference in Nehemiah’s life. Katina is an inspiring, hardworking and very kind single mother who works full time trying to supply for her family. She enjoys reading, gardening and playing with her children. Items that would help Katina would be a gas card (that would help her with her visits back and fourth from Loma Linda to UCLA for Kennidi’s hospital visits), and assistance with rent (seeing as though she has to take a week off of work to care for Kennidi). Katina is a single mother of three, ages 15, 10 and 5. Ms. Shutford works full time as a floral designer in Loma Linda. Katina’s middle daughter Kennidi is in poor health, when she was only 2 months old Kennidi needed a heart transplant, many times over the past ten years Kennidi’s heart has rejected the transplant causing her to spend her childhood in and out of the hospital. Due to being a single mother and having to travel to and from the hospital for Kennidi so often, things at home are tight. Rent is behind and Katina is worried she won’t be able to provide for her children’s upcoming school year, starting August 12th. Katina is in need of assistance and asked for our help to alleviate some stress by purchasing back to school clothes and supplies for her children. On July 29th, Kennidi will be going back into the hospital for ten to fourteen days, Katina also asked if we could help her with gas, seeing as she has to drive back and fourth from Loma Linda to UCLA throughout Kennidi’s stay. Katina gives her thanks to Real Time Difference and said she feels blessed knowing that there are people out there who want to help struggling single parents. Fendi is a shy, sweet 5-year-old little girl, youngest daughter of single mother Katina. She enjoys playing soccer, dolls, and getting read to. Items that would help Fendi would be a soccer ball, school supplies, backpack, and school clothes, before entering Kindergarten. Fendi was born in California and has a sister and brother, Fendi is the youngest. Fendi’s single mother is a full time florist who works extremely hard to provide for her family. Currently Fendi’s situation is unpleasant, she is entering Kindergarten and she does not have a backpack or any school supplies and starts in just a few days. Due to difficulties at home Fendi’s mother can’t afford school supplies or back to school clothes for her children, leaving Fendi with nothing to start her off on the right path for her education. The Real Time Difference met with Fendi on July 28th and was privileged enough to capture her story. Real Time Difference would like to thank Fendi’s Donor for their donation which made a real difference in her life. Kennidi is a strong and inspiring 10-year-old little girl, daughter of single mother Katina. She enjoys reading, riding her scooter, and playing with her puppies. Items that would help Kennidi would be reading books, a new backpack for school, school clothes, school supplies and prayers for her upcoming surgeries. Kennidi was born in California and has a sister and brother. Kennidi’s single mother is a full time florist who works extremely hard to provide for her family. Currently Kennidi’s situation is unpleasant, when she was just two months old she had to have a heart transplant, through the past ten years her heart keeps rejecting the transplant, causing her to spend most of her childhood in and out of the hospital for doctor appointments and surgeries. Kennidi also starts school soon, due to her mother being in and out of work from having to take Kennidi back and fourth from UCLA for medical visits, her mother cant afford to supply her with the back to school necessities like a new backpack, school supplies, and clothing. The Real Time Difference met with Kennidi on July 28th and was privileged enough to capture her story. Real Time Difference would like to thank Kennidi’s Donor Roman, for his helpful donation which was able to put a smile on Kennidi’s face and make a real difference in her life. Items Purchased for Kennidi Backpack, reading books, lunchbox, two pairs of shorts, two shirts, three pairs of shoes, and school supplies. Also, Real Time Difference made a visit to Kennidi while she was in the hospital (having plasmapheresis done; a process in which the liquid in the blood, or plasma, is separated from the cells. A machine removes the affected plasma and replaces it with good plasma). Real Time Difference surprised her with balloons, and a goody basket containing books, treats, and games. Jordan is a sweet 15-year-old young man, son of single mother Katina, and brother to two younger sisters. He enjoys playing football, basketball, and reading to his little sisters. Items that would help Jordan would be a new basketball, school supplies and school clothes, before going into his sophmore year of high school. Jordan was born in California and has two younger sisters. Jordan’s single mother is a full time florist who works extremely hard to provide for her family, while she is at work, Jordan is the man of the house. Currently Jordan’s situation is unpleasant, he has a ripped backpack and no school supplies and starts his sophmore year in just a few days. Due to difficulties at home Jordan’s mother can’t afford school supplies or back to school clothes for her children, leaving Jordan with ripped basketball shorts to wear. The Real Time Difference met with Jordan on July 28th and was privileged enough to capture his story. Real Time Difference would like to thank Jordan’s Donor for their donation which made a real difference in his life. Items Purchased for Jordan: Two shirts, two pairs of shorts, a pair of shoes, backpack, school supplies and a new basketball. Patrice is a 36 year old single mother of 4 children, all over the age of 16. 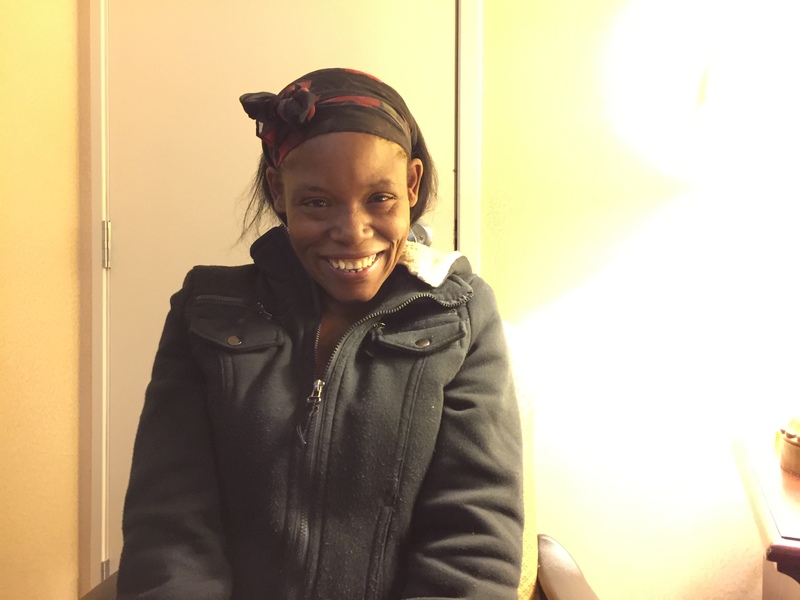 Patrice is employed but is currently on disability due to an accident and while on disability she lost her section 8 housing and has been homeless for weeks, couch surfing and looking for help. The Real Time Difference met with Patrice on November 11th 2015 and was privileged enough to capture her story. After a very thoughtful contribution, Real Time Difference and her Donor Roman were able to put Patrice in a hotel for two nights while she contacts other agencies we recommended for her to help her get lasting care and stable housing. Ted has been married to his wife Isabelle for 17 years, and has two kids. Currently Ted’s situation is unpleasant, he struggles with a diminishing health due to being diagnosed with Colon Cancer back in May. His wife is unemployed, and now so is he. The Real Time Difference met with Ted on October 1st and was privileged enough to capture Ted’s story. After a very thoughtful contribution, Real Time Difference was able to purchase the items needed for Ted. Real Time Difference would like to thank Roman for their donation that made a real difference in Ted’s and his family life. 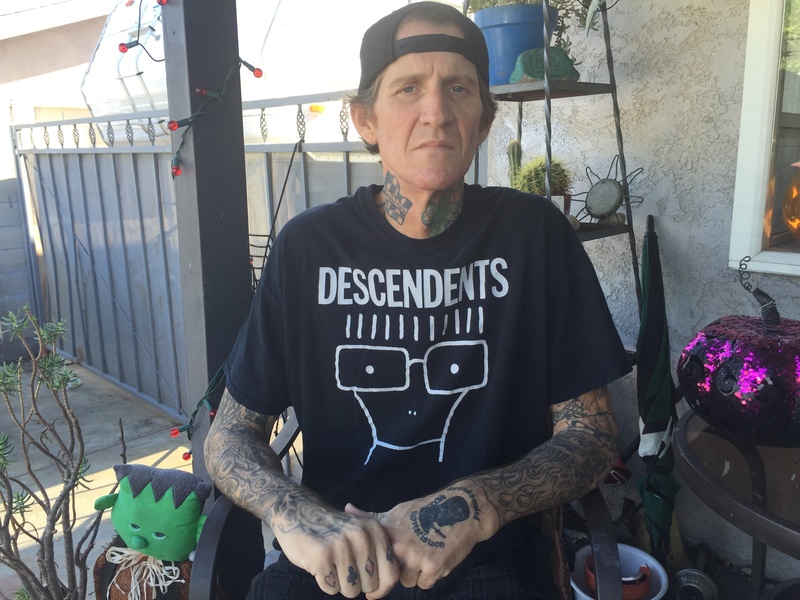 Ted is a father and husband, since the beginning of the year Ted was on disability due to a back injury and then in May of 2015 Ted was diagnosed with stage 3 Colon Cancer. Items needed for Ted that would help make a difference in his life would be assistance with paying for his weekly doctor visits. Within a 24 hour period of Real Time Difference’s assistance and Roman’s donation, Ted’s life had a difference made in it. Isabelle is a mother of two and married to her husband Ted of 17 years. Currently Isabelle’s situation is unpleasant, she is unemployed and spends her days taking care of her children and caring for her husband who has stage 3 Colon Cancer. Since the two are both unemployed, the family is currently struggling with paying bills, medical co-pays and buying groceries, since they were turned down from food stamps. The Real Time Difference Team met with Isabelle on October 1st and was privileged enough to capture Isabelle and her families story. After a very thoughtful contribution, Real Time Difference was able to purchase the items needed for Isabelle. Real Time Difference would like to thank Roman for his donation that made a real difference in Isabelle’s life. Isabelle is a beautiful and strong mother and wife. In her free time she likes arts and crafts, and spending time with her children. Items needed for Isabelle to help make a difference in her life include, groceries, or gift cards to buy groceries for her family. Within a 24 hour period of Real Time Difference’s assistance and Roman’s donation, Isabelle’s life had a difference made in it. A donation of 80$ for groceries. Brenda was born and raised in California where she resides with her mother and father who have been married for 17 years, and her older brother. Currently both of Brenda’s parents are unemployed. Brenda’s father was diagnosed with stage 3 Colon Cancer in May. Currently Brenda’s situation is unpleasant, she was too emotional to talk about her feelings on the situation on film, but tells us things have been hard lately, since she started 8th grade in September, her parents couldn’t afford back to school supplies for her. After a very thoughtful contribution, Real Time Difference was able to purchase the items needed for Brenda. Real Time Difference would like to thank Roman for their donation that made a real difference in Brenda’s life. She is 12 years old and is in the 8th grade. 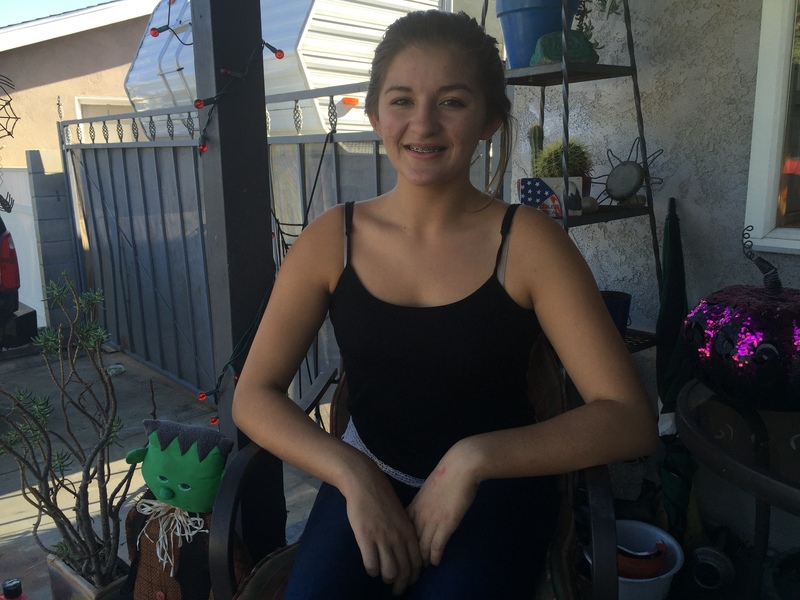 Brenda enjoys sports, playing volleyball, riding dirt bikes and hanging out with her dad. Brenda wants to be a welder when she grows up. Items needed for Brenda to have a successful childhood include, school supplies, including a backpack, pencils/pens, notebooks, and school clothes. Within a 24 hour period of Real Time Difference’s assistance and Roman’s donation, Brenda’s life had a difference made in it. Backpack, School Supplies, Personal Care Items, Tops, Scarfs and Accessories, Snacks. Malaina was born and raised in California by her single mother, Gina. Currently Malaina’s situation is unpleasant, her mother Gina receives no child support from Malaina’s father and in January 2015 Malaina’s mother broke her ankle and has been out of work since. Due to these unfortunate events, Gina can’t afford to supply her daughter with the necessities for her daughter to continue to the 8th grade. The Real Time Difference met with Malaina August 26th, 2015 and was privileged enough to capture her story. She is 12 years old and is in the 8th grade. Malaina enjoys reading, creating art, and going to church. Items that would help Malaina include school supplies, a new backpack, and P.E shoes. Within a 24 hour period of Real Time Difference’s donation, Malaina’s life had a difference made in it. School Supplies (pens, pencils, paper, notebook, sketch book), Hair Accessories, Backpack, Shoes, P.E Shoes, Socks and Under Garments. Jada was born in Virginia, after years of domestic violence, Jada’s mother packed up their car and fled to California to be safe and to start a new life. Jada is a well behaved and extremely smart 16-years-old, she holds a 4.2 GPA even with her current unpleasant living situation. Jada and her mother are homeless, the two have been living out of their vehicle for two months due to tragic and heartbreaking unfortunate events. The Real Time Difference met with Jada and her mother on August 7th, 2015 and was privileged enough to capture her story. Real Time Difference is working in the community to help her mother find that affordable and safe living situation, until then Real Time Difference will place Jada and her mother Miriam in a hotel for a few nights. She is a kindhearted and inspirational 16-year-old, 4.3GPA student and enjoys science, and playing multiple instruments (piano, guitar, flute,etc.). Jada aspires to attend Stanford for college and become either a chemist or anesthesiologist. Items that would help make a difference in Jada’s life that could be donated are shoes, shirts, pants and a backpack for school, along with other necessary back to school supplies. Jada starts her Sophmore year of high school shortly, and due to being homeless, she has close to nothing, and most of what she does have is stuck in storage. Within a short period of time, Roman’s donation, he made a wonderful difference in Jada’s life. * Also, a very special thank you to all of our GoFundMe donors who made it possible for Real Time Difference to help obtain Jada and her mothers belongings from storage. (See Miriam’s Story). Five pairs of pants, five shirts, a backpack and school supplies such as paper, pens, pencils, calculator, binders, and notebooks. Miriam is a single mother of a very intelligent and kind 16-year-old, the two have been living out of their vehicle for two months due to tragic and heartbreaking unfortunate events. Miriam has a job, but is unable to work at the moment because she doesn’t have a safe place for her daughter to stay while she is working. As soon as Miriam can find an affordable and safe place to live, she can get back to work. The Real Time Difference met with Miriam and her daughter on August 7th, 2015 and was privileged enough to capture their story. Real Time Difference is working in the community to help her find that affordable and safe living situation, until then Real Time Difference will place Miriam and her daughter in a hotel, and assist with gas money. She is a single working mother who has a passion for singing and aspires to be a singer/songwriter. Miriam can’t afford to pay to get her belongings out of storage where her deceased mothers belongings are stored, and her daughters musical instruments are placed. Also, due to difficult times Miriam and her daughter are homeless and would like a hotel to stay in for a few nights. 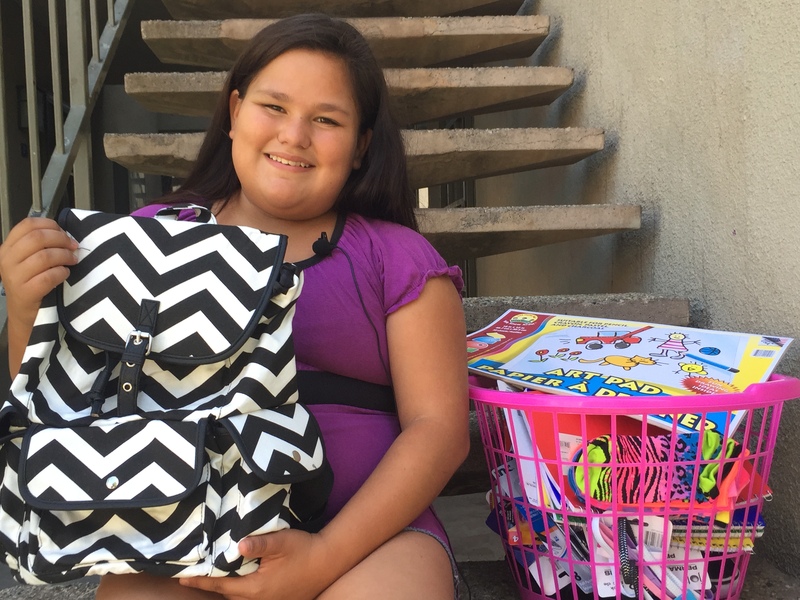 Being homeless has made things hard, and Miriam is asking that items such as school clothes and school supplies be donated for her daughter Jada before she enters her Sophmore year of high school. (See Jada’s Story below). Within a short period of time, Miriam’s multiple donors made an incredible life changing difference in her and her daughters life. By Real Time Difference – Three nights in a hotel, $70 for gas and helped raised funds to obtain her things from storage. A very special thank you to all of our GoFundMe donors, Anthony Vasquez, Jenessa Mercer, Shyla Atienza, Max Werderman, Taviana Cain, Kyle Richardson, Cameron Maciel, Ryan Rothrock, Andy Keith, Taylor Wilson, Kyle Watson, and 5 anonymous donors who helped make it possible for Real Time Difference to obtain Miriam’s belongings from storage. Within a short period of Real Time Differences’ donation, Real Time Difference made a wonderful difference in Katina’s life, relieving her of stress, and giving her hope. Chevron gas card worth $50 and a cashiers check made out to her landlord to assist with the months rent of $150. Within a short period of Real Time Differences’ donation, they made a difference in Fendi’s life. Backpack, lunchbox, soccer ball, dress, shirt, shorts, shoes, and school supplies. Within a short period of Real Time Differences’ donation, they made a difference in Kennidi’s life. Backpack, reading books, lunchbox, two pairs of shorts, two shirts, three pairs of shoes, and school supplies. Also, Real Time Difference made a visit to Kennidi while she was in the hospital (having plasmapheresis done; a process in which the liquid in the blood, or plasma, is separated from the cells. A machine removes the affected plasma and replaces it with good plasma). Real Time Difference surprised her with balloons, and a goody basket containing books, treats, and games. Within a short period of Real Time Differences’ donation, they made a difference in Jordan’s life. Two shirts, two pairs of shorts, a pair of shoes, backpack, school supplies and a new basketball. She is a young single mother of three, who just moved to California from Maryland. She enjoys playing with her children and reading them bedtime stories. Clarissa has been disabled since she was 12 and is currently unemployed. Items that would help Clarissa and her family include money to help pay to get her housing items out of storage, cooking and house supplies and new clothes. Within a 24-hour period of Real Time Differences’ donation, they made a difference in Clarissa’s life. Two shirts, Two Skirts, Sandals, Shampoo & Conditioner, Kitchen items, and Purchased the delivery of the family’s belongings in storage. Clarissa is the mother of three children: Carin (11), Nathaniel (9), and Nehemiah (8). The single mom is unemployed due to her disability. In fifth grade Clarissa was hit by a car. After spending weeks in the hospital and having several surgeries, disks are still misplaced in her back making it hard for her to stand on her feet for several hours or to walk around. Clarissa sent all of her money to move herself and her three children to California in an effort to give them a better life. Currently Clarissa and her children are living in unpleasant circumstances; sleeping on the floor and wearing dirty clothes at times. Clarissa needed assistance moving her things from Maryland to California, but couldn’t afford the cost of the moving company that held her things in storage. Real Time Difference met with Clarissa on May 11th, 2015 and was privileged enough to capture her story. Real Time Difference would like to thank Mr.Hossain for his very kind donation which made a REAL difference in Clarissa and her family’s life. He is 9 years old and enjoys science, math and football. Nathaniel wants to be a professional football player when he grows up. Items needed for Nathaniel include shoes, clothes, toys, and items from the moving truck. Within a 24-hour period of Heather’s donation, she made a difference in Nathaniel’s life. Two shirts, Two pairs of shorts, Sandals, Notepad, Pencils, Toys. Nathaniel was born in Maryland and has two siblings. He is the middle child. Nathaniel has been raised by a single mother who is on disability due to a tragic accident. Currently, Nathaniel’s living situation is unpleasant. He has been sleeping on the floor of their apartment and continues to have to wear the same clothes to school over and over again. Real Time Difference met with Nathaniel on May 11th, 2015 and was privileged enough to capture his story. Real Time Difference would like to thank Heather for her donation which made a REAL difference in Nathaniel’s life. He is 8 years old and enjoys recess and playing football. Nehemiah wants to be on SWAT when he’s older. Items needed that would help Nehemiah include a bed, and new clothes for school. 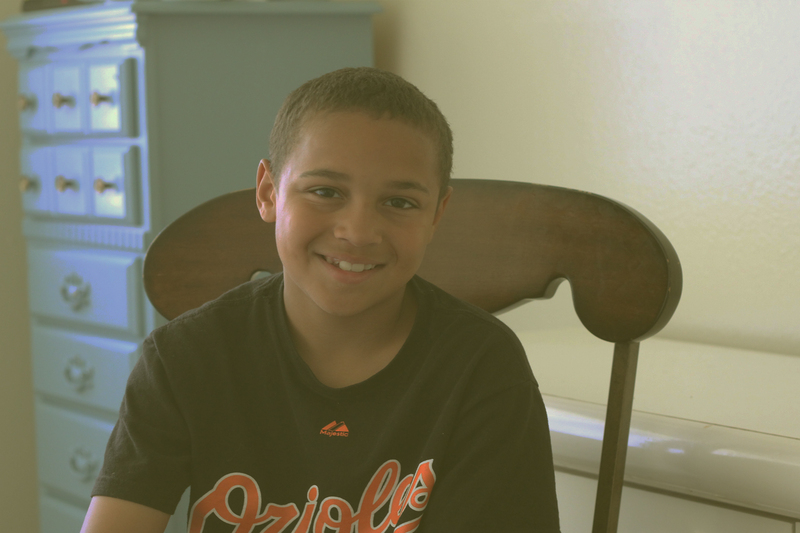 Within a 24-hour period of Holland’s donation, she made a difference in Nehemiah’s life. Nehemiah was born in Maryland and has two siblings, a brother and a sister. Nehemiah is the youngest of the three, and the jokester of the group. Nehemiah has been raised by a single mother who is on disability due to a tragic accident. Currently, Nehemiah’s living situation is unpleasant. He has been sleeping on the floor of their apartment and continues to wear the same clothes to school over and over again. Real Time Difference met with Nehemiah on May 11th, 2015 and was privileged enough to capture his story. Real Time Difference would like to thank Holland for her donation which made a REAL difference in Nehemiah’s life. She is 11 years old and she enjoys reading and exercising. Carin wants to be a chef or hair stylist when she gets older. Items needed for Carin include new clothes, shoes, and items like her bed out of their storage so she doesn’t have to sleep on the floor. Within a 24-hour period of Bailey’s donation, she made a difference in Carin’s life. Two sun dresses, Shirt and shorts, Sandals, Notepad, Pencils, Toys. Carin was born in Maryland and has two brothers.She is the eldest of the three. Carin has been raised by a single mother who is on disability due to a tragic accident. Currently, Carin’s living situation is unpleasant. She has been sleeping on the floor of their apartment and continues to wear the same clothes to school over and over again, which she feels embarrassed about. Carin suffers from kidney issues, causing her to get tired easily and making it hard for her to stay active. Real Time Difference met with Carin on May 11th, 2015 and was privileged enough to capture her story. Real Time Difference would like to thank Bailey for her donation which made a REAL difference in Carin’s life. By becoming a volunteer, you’re making a positive change in someone’s life..including your own. *Becoming a volunteer can be beneficial to you. It can help you advance in your career and also provide necessary credits for school. *Volunteering connects you to others and can bring fun and fulfillment! *Volunteers are often the glue that holds a community together by uniting people to a purpose. *By becoming a volunteer, often can help you learn and develop a new skill. Helen Keller said it best.. Donations are the heart of Real Time Difference making a positive impact on those in need. Families and children need assistance from YOU! Please help us-help others. One small step from you can create a giant leap of faith in those you donate to. 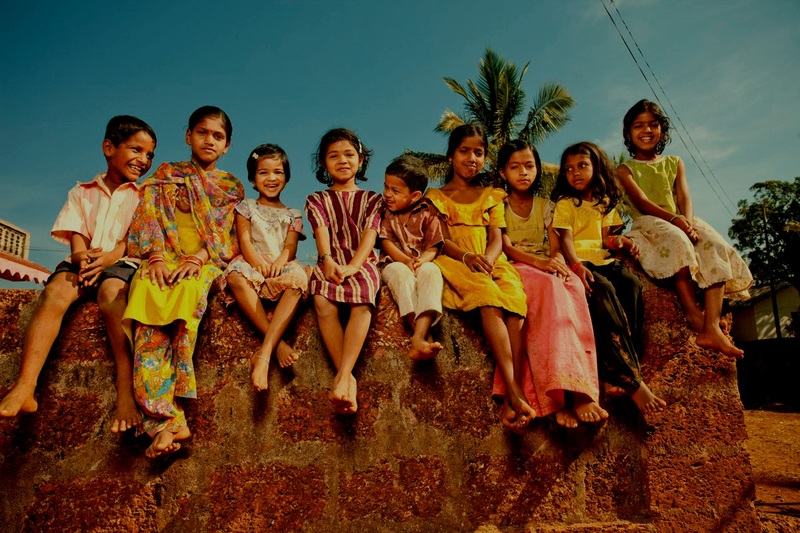 Mr. Hossain founded the concept of the “Real Time Difference” which is a philanthropic business model allowing for donors and poverty stricken families to connect. Mr. Hossain has adopted an orphanage in Cambodia, and Bangladesh that houses, feeds, and educates approximately 100 children between the ages of 2 and 14. In 2013, Mr. Hossain co-chaired the development of a community outreach program for students at California Western School of Law by working with Faculty, Students, and the Local Community. This program provides a volunteer opportunity for students to help serve lunch to low-income Seniors at a local Senior Center. Beginning in 2014, Mr. Hossain began volunteering for the San Diego County Office of the Public Defender. As a certified intern, Mr. Hossain is PTLS certified by the California State Bar to represent defendants in criminal proceedings under the direction of a supervising attorney. Finally Mr. Hossain in the process of developing a Charitable Foundation, which will assist local low-income families with food, clothing, work-skills, and personal development utilizing the Real Time Difference platform . We at the Real Time Difference would love to hear from you!